In the end, Silent Hill: Book of Memories is a release that won't appeal to a large part of the gaming community. It's quite repetitive, and ends up becoming too challenging for most to enjoy, although those who can rely on a few friends will find fun within the co-op side of things. Those who love psychological terror in video game form are surely aware of the Silent Hill franchise. After all, Konami’s survival horror series is a genre mainstay, and happens to be one of the most popular interactive spook shows out there. Each new iteration launches to an anticipating fan base, though the group’s collective criticisms can become rather rough at times. That’s been the case lately, as the series’ last two genre entries weren’t as impressive as its followers were hoping they’d be. However, that isn’t to say that they were bad by any means, because that wasn’t the case. Now that we’re neck deep in the spooky month of October, with its Hallowe’en costumes and horror movie marathons, the Japanese video game corporation has decided to take its venerable franchise down an unexpected path with its PlayStation Vita debut. Known as Silent Hill: Book of Memories, the portable title certainly ventures into uncharted and surprising waters. Of course, we’re talking about one of the most popular entries in the survival horror genre – a game type that hasn’t changed much over its lifespan – embracing action-RPG tropes. The best way to describe Book of Memories is to liken it to Diablo. Although the same amount of polish simply isn’t found within this WayForward release, the two games share similar gameplay mechanics. There’s a bunch of hacking and slashing with some loot finding mixed in, and the featured (Hellish) environments are labyrinthine in nature. You’re tasked with moving through different zones, all of which are themed based on different environments, such as a forest filled with wooden structures and the rust damaged industrial areas that are synonymous with the nightmarish town of Silent Hill. Along the way, it’s pivotal that you collect all of the required puzzle pieces by completing enemy-filled challenges, which seem to always focus on combat. If you don’t, backtracking will be in order, because each zone concludes with a cryptic puzzle. Continuing on with the zone-based discussion, it’d be a mistake not to mention how all of the spooky locations are held together through narrative means. As expected, the storyline is strange and surreal, much-like every other series release, creating a character study experience. However, there’s one major difference here – the character in question is customizable, allowing players to choose whom they’ll play as. The options are almost all stereotypical, with Goth and rocker design sets standing out as prime examples. It’s a rather crude system, which doesn’t allow for a ton of customization, but it doesn’t really matter because you’ll be looking at the avatar from a behind the shoulder plus overhead viewpoint, which doesn’t show much frontal detail. At the beginning of the presented campaign, the created character receives a strange package from a mysterious town he’s never heard of. Obviously, that would be Silent Hill, letting fans know what to expect moving forward, especially considering that the creepy delivery guy happens to be a familiar character from the ghost town’s digital lore. This time around, he acts as a helpful associate of sorts, running each zone’s shop, where weapons, items, stat enhancers and skills can be purchased. Once the package has been opened, it becomes clear that there’s a book inside. The book, that is; the one that is spoken of in the game’s subtitle. Somehow, it happens to have our unexpected hero’s life history inked into its yellowed and cryptic pages. However, that fact doesn’t seem to be scary enough, as protagonist number one decides to re-write his (or her) history. That’s seemingly a no-no, because it ends up leading to a nightmarish trip to the newly zoned world of Silent Hill, complete with hideous creatures and challenging trials. 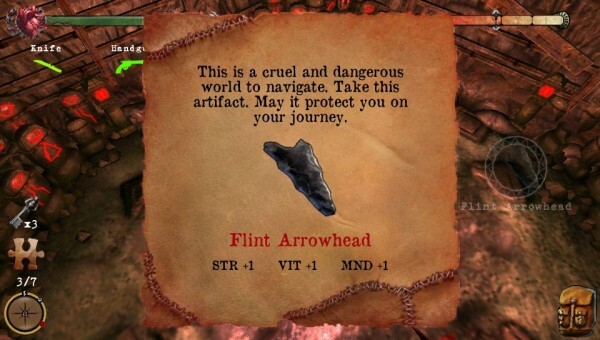 Scattered throughout the in-game environments are pieces of paper and television screens, which either add bits and pieces of story content to the experience or provide the player with clues. Usually, they’re surrounded by ugly baddies of the demonic variety. Once the player has taken out all of the denizens with help from up to three friends over online or Ad Hoc services, he can then learn more about what’s going on. The same system is employed for progression, and it becomes repetitive quickly. Taking out several enemies in several challenge rooms is enjoyable the first few times, but not when it’s relied upon to excess like it is here. As a result, Silent Hill: Book of Memories would probably win an award for being the most repetitive franchise iteration thus far; that is, if such an award were to exist. Within the above-mentioned repetition issue is where one of the game’s major downsides lies, as it’s really only enjoyable during short play sessions. Playing for hours on end leads to boredom, mainly because there’s a notable lack of variety. Sure, some stages have alternative missions including boss battles or protection orders, but you’re still doing similar things. Adding onto that is the fact that the game has an unforgiving default difficulty level that cannot be altered for some reason. It’d be fine if health packs were in great supply, but they’re not. In fact, after only several zones, I found it hard to find the replenishing healers, which paved the way for some frustrating progression attempts. Generally speaking, Silent Hill: Book of Memories is not a great title for solo players, thanks to its high challenge level, meaning that it’s always best to team up with a few friends, or even a few strangers. 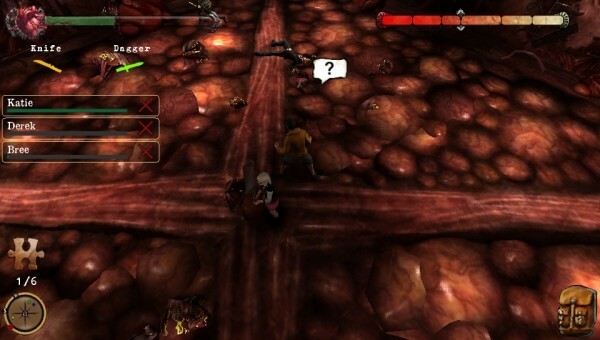 Fighting in numbers increases each player’s survival chances, even if it means that allies will attempt to steal their peers’ loot. While that’s a definite downfall, especially when there’s not a ton of it to go around, it’s something that must be overlooked if you want to have an enjoyable time battling your way through these nightmares. For the most part, the enemies seemed to be easier to defeat whenever multiplayer was selected, although that was most likely just an illusion. It was just nice to have help, even for a stage or so. Taking on room after room of demons, monsters and deformities by your lonesome isn’t a walk in the park, especially when the available weaponry (one-handed melee or projectile weapons that can be dual-wielded, plus two-handed sluggers) breaks after a while if it hasn’t been repaired. That’s part of the strategy, though, as it’s pivotal to keep track of your weapons’ colour-coded health. If you don’t, you may be taking on a gigantic foe or a strong boss with only your two fists for protection, which will obviously make things more difficult. Plus, if you have your flashlight on, you may be in for a fight against an enemy that happens to despise light. To go into detail, all of the enemies found within WayForward’s digitally crafted environments are aligned to either light or blood. Whenever they’re taken out, they drop a puddle of whichever one they’re based on. If the player walks over the substance puddles, it will affect his karma meter, which plays into certain aspects of the game. I was predominantly light, and was able to find healing panels on certain floorboards, which helped out quite a bit. Additionally, there were different karma abilities that could be purchased from the in-game shop. On top of the detailed campaign, one will find additional dungeons to explore, though those who like to go for one hundred percent completion in every game they play will be busy hitting the new game tab. Like just about every other game option outside of combat and door opening, that specific tab happens to be touch controlled, so a fingerprint will definitely appear where it lies. The reason for this assumption, at least when it comes to that particular camp, is that the included trophy list is one heck of a challenging beast. It’s full of combat awards, progression trophies and miscellaneous types. That latter group happens to feature one for getting every ending, of which there are apparently several, and different results in solo-specific ghost encounter rooms. Needless to say, there’s a lot of replay value to be found by those who believe that this title would be for them. When it comes to presentation, this portable venture is rather lackluster. While the employed visual engine and its accompanying audio facets work without issue, there’s nothing remarkable about them. The included zone environments look rather bland, and end up becoming quite repetitive despite the fact that their dungeons are randomly generated. Additionally, the voice acting is mediocre at best, and there’s really nothing to write home about with regards to the rest of the audio department. It’s disappointing, because there’s definitely room for more polish, which would’ve been beneficial. 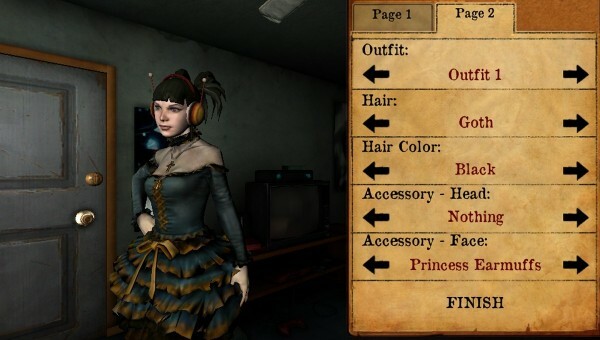 In the end, Silent Hill: Book of Memories is a release that won’t appeal to a large part of the gaming community. It’s quite repetitive, and ends up becoming too challenging for most to enjoy, although those who can rely on a few friends will find fun within the co-op side of things. If varied difficulties and more gameplay variety had been included, it’d be much easier to recommend this experience. However, as it stands, it’s only a slightly above average game that probably won’t catch on with much of the industry. This review is based on a PS Vita copy of the game that we were provided with.